Apple has announced that the iPhone OS 3.0 will be released on June 17th, two days before the release of the iPhone 3G S. The update will be free for all iPhone devices and it will cost $9.99 for iPod touch owners. Arabic language support as well as other languages, increasing the number of supported languages to over 30. Landscape mode for notes, email..etc. Spotlight search, the ability to search the whole phone. Find my phone using MobileMe. iPhone OS 3.0 Gold Master is finally released for members of the iPhone Developer Program. 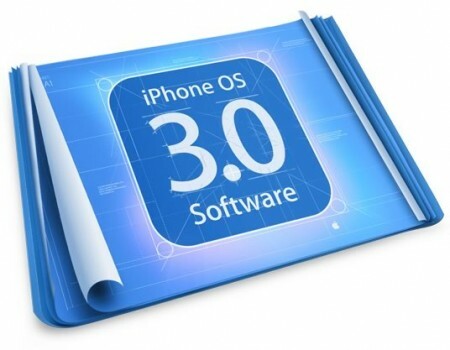 As a registered developer I have downloaded and installed iPhone OS 3.0 on my iPhone 3G. As a developer I also signed an NDA with Apple (non-disclosure agreement). So I cannot disclose any information about it until the release date and I will respect that. Do not expect our review of iPhone OS 3.0 until the official release on June 17th 2009.
if your a developer,why don’t you make apps and put them on this site? hope you make some great apps! There is no need to use that methode. as the GM release Have that already. Both work without any modification. Please advise how to get delivery report for SMS sent. i really aprecciate everything u do khaled!! but when will apple officially open in saudi arabia??? ?